A Partnership of Higher Education, Private Industry and State Government. The Established Program to Stimulate Competitive Research (EPSCoR) is a program designed to fulfill the National Science Foundation's (NSF) mandate to promote scientific progress nationwide. The EPSCoR program is directed at those jurisdictions that have historically received lesser amounts of NSF Research and Development (R&D) funding. Twenty-eight states, the Commonwealth of Puerto Rico, the U. S. Virgin Islands and Guam are currently eligible to participate. 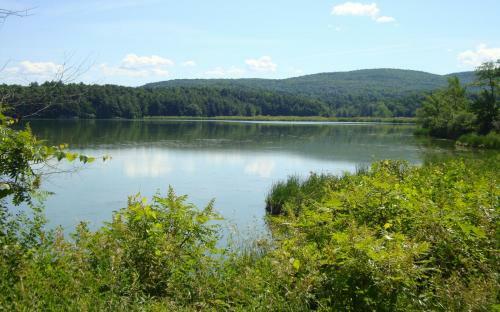 The BREE project helps identify strategies for resilience in the social ecological system of the Lake Champlain Basin. Research methods include creation of a new soil sensor network, leveraging of existing water sensors for redeployment, and development of new models, including land use and network models that capture the cognitive behaviors and opinions of land users and policy makers. 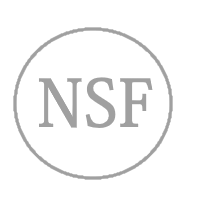 On behalf of the Vermont Technology Council that serves as the Statewide Board for the NSF VT EPSCoR Program I would like to share that Vermont is eligible to submit a new proposal to the National Science Foundation (NSF) Established Program to Stimulate Competitive Research (EPSCoR) Research Infrastructure Improvement Track-1 (RII Track-1) in July 2020. NSF limits EPSCoR-eligible states to a single RII Track-1 proposal submission. Climate and agricultural management are strong drivers of greenhouse gas (GHG) emissions, but little is known about potential interactions among these drivers. Climate change will likely increase the frequency of wintertime thaws in northern agricultural systems, which have been shown to induce large pulses of carbon dioxide (CO2) and nitrous oxide (N2O). We tested the hypothesis that different manure application practices would interact with thaw events to produce GHG emission pulses of different sizes. Specifically, we expected manure injection would increase CO2 and N2O emissions relative to other manure application methods by enhancing subsurface microbial substrate availability. We conducted a laboratory incubation study with frozen, intact soil cores from a continuous corn (Zea mays L.) system under three manure application methods: broadcast, broadcast + plow, and injection. Cores were subjected to three temperature treatments over 8 d: frozen ( 7 C), freeze thaw (alternating 7 and 5 C), and thaw (5 C). In the freeze thaw and thaw treatments, cumulative N2O emissions were 2 to 20 times greater in injected versus broadcast treatments (6.5 mg N2O-N m 2 averaged across broadcast treatments); cumulative CO2 emissions were up to two times higher in injected versus broadcast treatments (1017 mg CO2 C m 2 averaged across broadcast treatments). Our results suggest that the impacts of manure application choices extend beyond the growing season to increase N2O and CO2 emissions during wintertime thaws, potentially interacting with a warming climate to increase GHG emissions. Vermont EPSCoR seeks collaborative proposals from higher education – small business partnerships for research that is complementary to our BREE research. These awards are for innovation; and to move research forward. While undergraduate support is allowed, Pilot Awards are not intended for primarily undergraduate research. 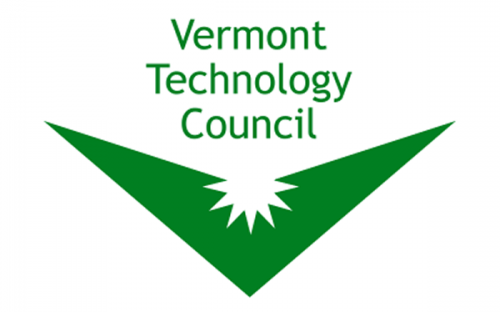 VT EPSCoR is excited to offer travel awards to Vermont entrepreneurs who wish to attend various SBIR/STTR related conferences. The Undergraduate Internship Program offers students the opportunity to participate in current research conducted through the Basin Resilience to Extreme Events (BREE) program. Undergraduates selected to participate in the BREE program will be matched with a research team of faculty and graduate students working on the transdisciplinary BREE research program. Students perform full-time research for 10 weeks during the summer with a faculty members. In April, students give an oral presentation or poster presentation of their research results. The VT EPSCoR Center for Workforce Development and Diversity (CWDD) works to cultivate and prepare a diverse science, technology, engineering and math (STEM) workforce in Vermont by inspiring students to enter STEM careers. As part of our work we are pleased to award $5,000 scholarships to Native American (including Abenaki) and First Generation college students who enter STEM majors at a Vermont college or university. The High School Program offers students and teachers the opportunity to participate in current research. Through involvement in the Basin Resilience to Extreme Events (BREE) research program, participants develop skills in scientific methods and Earth systems thinking and experience what it is like to be a scientist. Research can be a powerful way for teachers to enhance science content. The goal of the VT EPSCoR CWDD middle level outreach program is to expose middle level teachers and students to scientific research.